After my recent post on the new Kiko Regent Street store, I couldn’t wait to try a couple of bits from their current limited edition holiday collection, Digital Emotion. The Bright Eyes Top Coat immediately caught my eye, it’s really quite unusual. 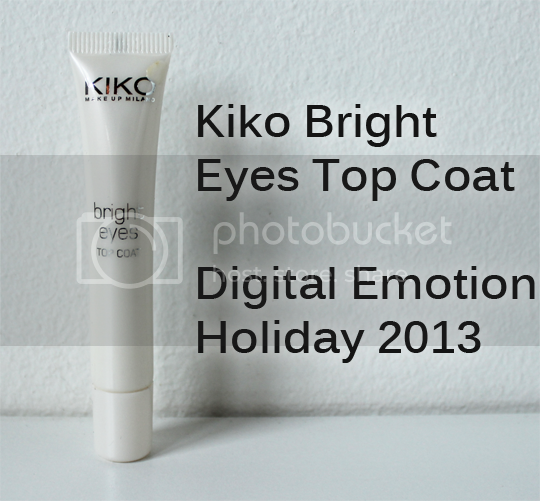 Kiko Bright Eyes Top Coat is a little 10ml tube of super-shimmery iridescent gel designed as, well, a top-coat for eyes. In the same way we might use a glittery topcoat on our nails, this is a similar idea for adding a little extra something to your eye makeup. Swatched above, you can see what a tiny little pinprick of this you would need on the eyes. 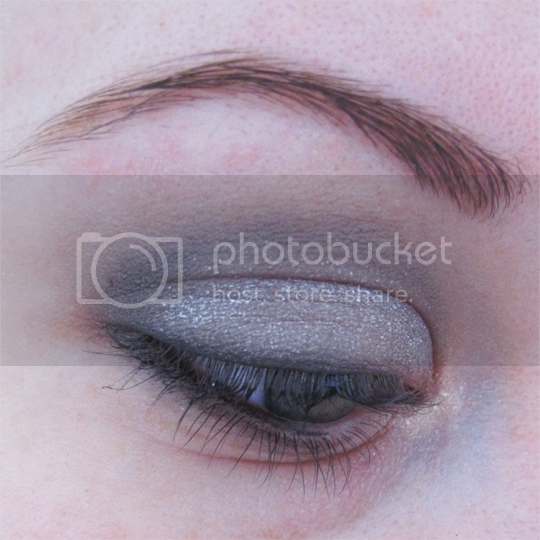 A little goes a very long way without compromsing on the eye-catching shimmer finish. It’s a good thing you need so little product, as I imagine too thick a layer of this would just be asking for creasing. The smooth, not-at-all-sticky gel formula feels lovely when you tap it into the skin to blend. Thanks to its ease of use, I think this a great thing to slip into your makeup bag if you’re going out after work. A soft, office-appropriate matte eye look can be instantly transformed to something sparkly and special with just two tiny little dabs of this magical, brightening gel – I am a big fan. Kiko Bright Eyes Top Coat costs a very reasonable £7.90 and is available in store and online. The rest of the Digital Emotion collection is also available online – the double-ended eye pencils are fab, FYI! I’ve never heard of such a product; how cool and unique! Speaking of discovering new products… Have you heard of Dorco yet? We’re a shaving company providing high quality razors for 30-70% less than leading brands. See our prices for yourself and read what others have said about our products at DorcoUSA.com. Thanks again for sharing this with us. 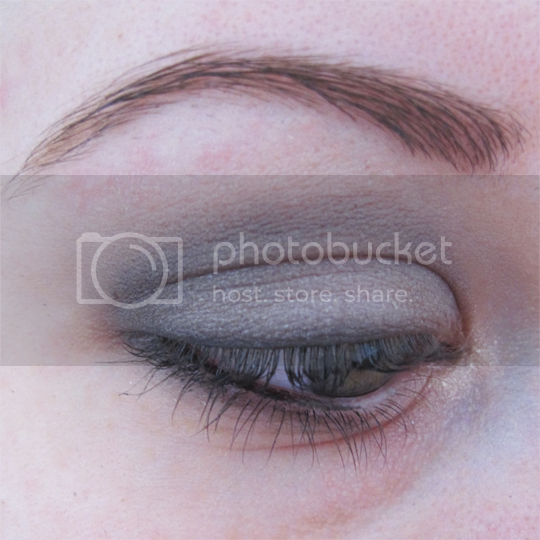 It looks like such an easy way to glam up any look.